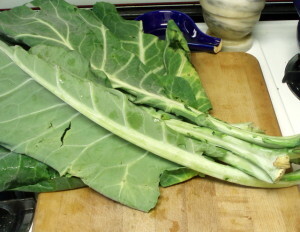 We got big, lovely bunches of collard greens from the CSA both last week and this. 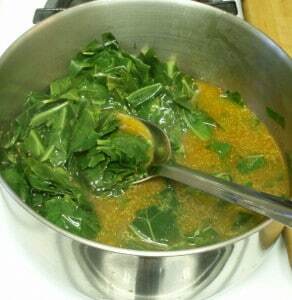 I find collards a bit tougher than other leafy greens, and I don’t like them cooked the way I cook other greens. 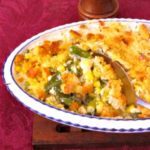 I have found, though, that these do well with the classic Southern treatment of a longer simmer – which I don’t like for the more tender greens. 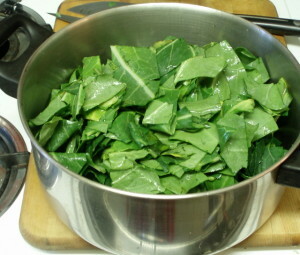 Traditionally, collard greens are cooked with some sort of smoked or cured meat, for flavor. I gather cooking them with ham, and using the broth from boiling the ham, is very common, and I know people who now use smoked turkey wings. Then, they are often served with pepper vinegar. 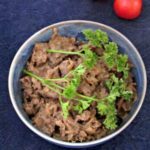 Last year, I wrote about using Italian sausage, since that provided both the flavorful meat and the heat of the pepper. I’ve been thinking about meatless version, though – and started wondering about chipotles. Then, I saw a few places suggesting a workaround – puree the peppers and sauce together, use it by the spoonful as needed, keep the rest in the refrigerator. Both the smoking of the peppers and the vinegar used in the sauce act as preservatives, so it will easily keep for several weeks in the fridge, and I can use as much or as little as I want, without fuss. What a great idea! I did that – and have been using them in some of my breakfast beans and other dishes. Just a little heat, and a lot of flavor, with just a small amount of the puree. I simply put the contents of the can – which is small – in my mini food processor, and whirred until almost smooth – left a little texture. Put the puree in a plastic container, and it was ready to go. So – that seemed a good idea for my collard greens. Flavor and a little heat together. Later in the summer, I’ll have plenty of fresh peppers, and will undoubtedly use them instead, but now – this works well. 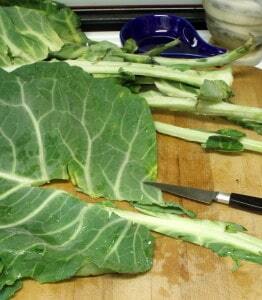 I trimmed my collards. 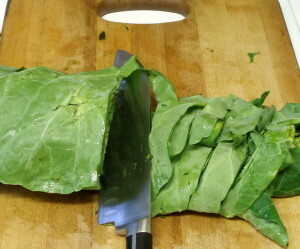 I try to use as much as I can of my vegetables, but the collard stalks are just much too tough – I have to cut them out. I put each leaf on the cutting board,and used a sharp knife to cut them out. Then I piled the leaves on top of each other, and rolled them to make them easier to cut. I sliced the rolls across, to shred the leaves, and then chopped the slices so that I had small bite sized pieces. Then I washed them, the same way I wash other greens – in a sink of water, lifting them out and draining them. I took a large pot, and heated a little oil in the bottom. Tossed the collard greens in the oil until they were well coated. 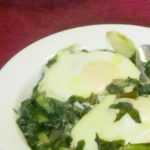 Ideally, at this point I would have used a meatless broth, to give us vegetarian collards – but, as it happened, I had a container of chicken broth I wanted to finish, so I just used it. Another time, though, I might use vegetable stock, or water with some Better than Bouillon, or something like that. I then stirred in a heaping spoonful of the chipotle puree, stirred it in well, and covered the pot to bring it to a boil. When it boiled, I uncovered it and set it to simmer for half an hour, stirring occasionally. I prefer them while they are still a fairly bright green, not yet the olive that many people prefer. If you like the taste when they are darker, simmer longer – some do as long as an hour. The slight reddish color you see comes from the chipotle. Save the liquid! 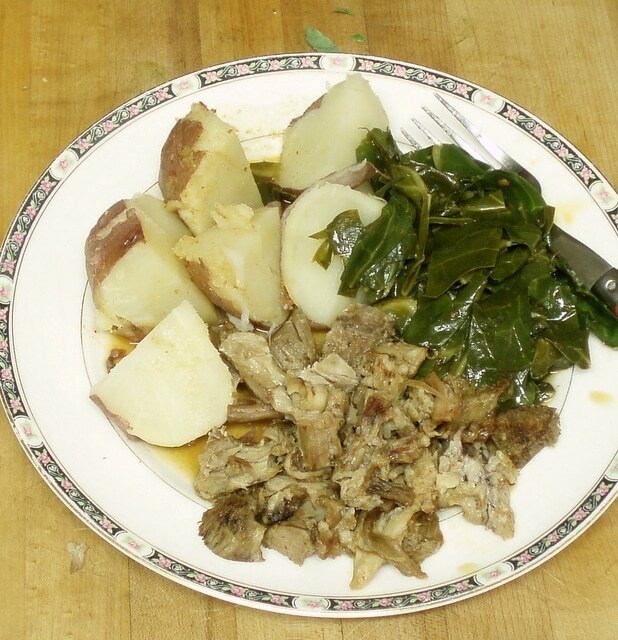 It has both vitamins and flavor – I used it to moisten the pork I was heating, and poured it over the potatoes. It was all really good. We had enough for several meals. Trim, chop, and wash greens. Drain them, but they don't need to be dry. Heat oil in a large pan. Toss the greens on the hot oil. Serve vegetables with the cooking liquid. Use rice, bread, potatoes, something to sop up the juices. 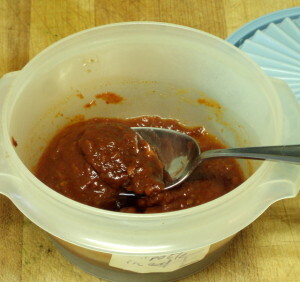 I've been pureeing chipotles in adobo like that for several years now; highly recommended! I've used as many as three chipotles in a big pot of chili, but I've never used an entire can of them in anything. It's so convenient to be able to use just a spoonful of puree at a time! Originally I kept them in one the little 8 oz. Ziploc SmartSnaps, but the container eventually turned brittle and shattered when I dropped it once, so now I keep them in a sturdy glass jar instead. I realized I'd read about it a while ago, and forgotten, as I wasn't using them. (We get plenty of peppers from the CSA!) When I saw it again, though, the penny dropped. I do like the flavor they add beyond heat. The Tupperware seems to be working fine for now, but that's a good point - next time, maybe I will use glass. Thanks, I thought the chipotle worked really well. And thanks for hosting!